Stainless steel balustrade post with pre-welded base plate with four fixing points for secure fixing. 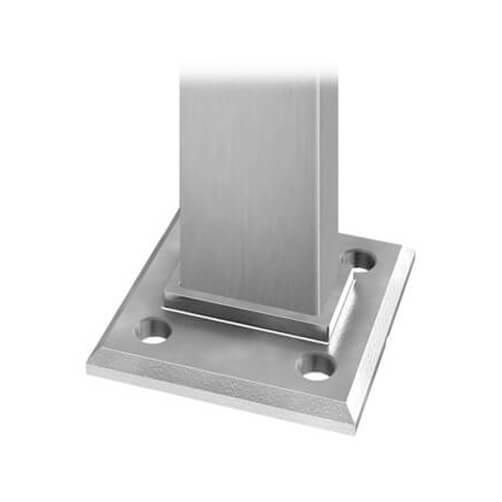 60x30mm profile post for use with other components and fittings from the Square Line 60x30 Balustrade System. 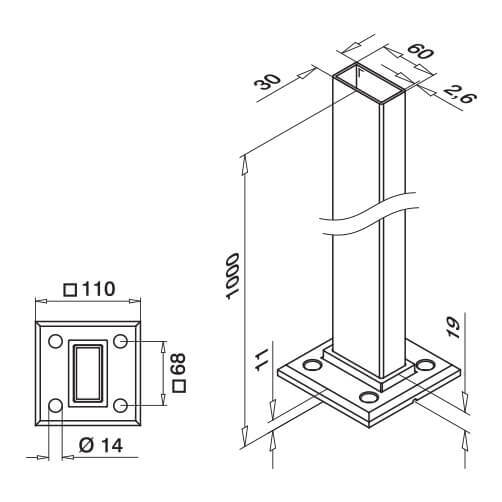 Cover Caps for Baluster Posts.